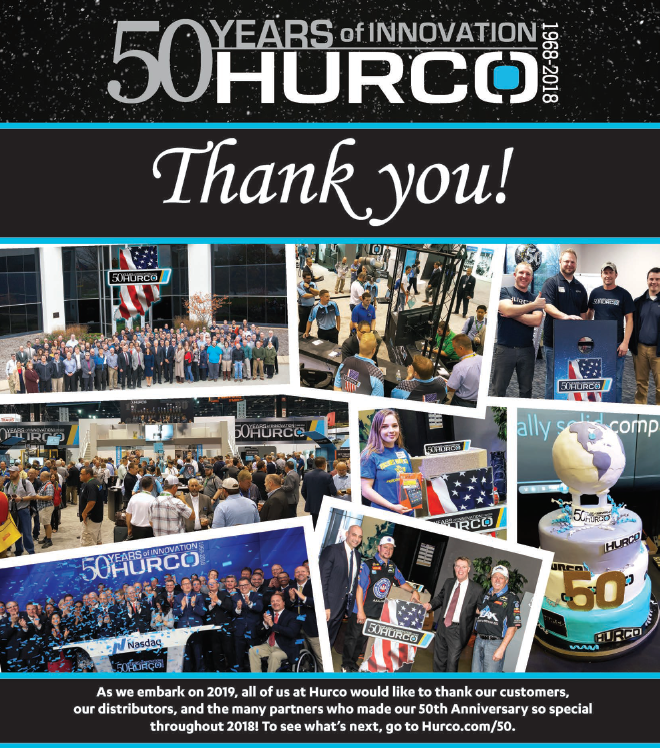 THANK YOU to our customers, distributors, industry partners, and visitors to our booth for making IMTS 2018 and our 50th Anniversary Celebration so special! 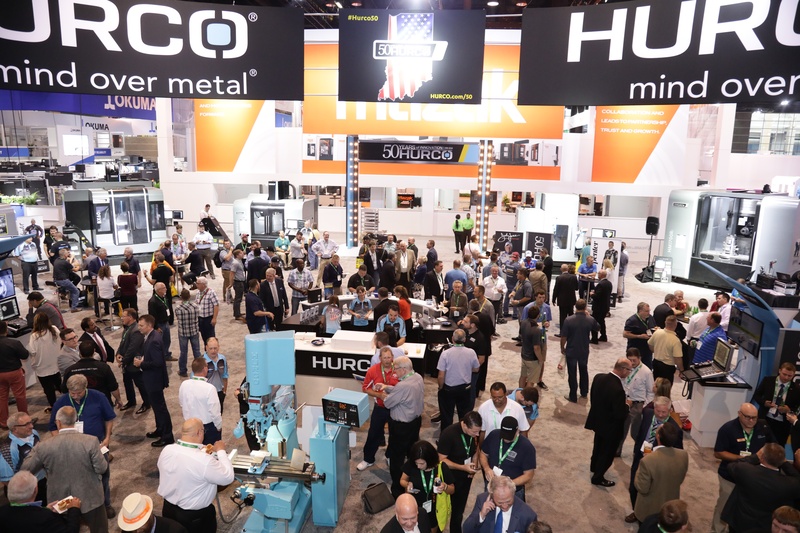 The Hurco AUTOMATION EXHIBIT surrounding Advanced Technology, such as IIoT (Industrial Internet of Things) and Industry 4.0 was a big hit. Check out the video showcase. 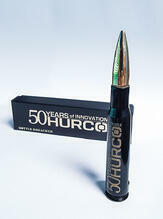 By far the most popular IMTS VIP gift we've ever had: the special edition Hurco 50th Anniversary Bottle Breacher made by a Hurco customer on a Hurco! BONUS: Eli and Jen Crane, owners of Bottle Breacher, celebrated our 50th Anniversary Party with us at IMTS. Check out the video interview with Eli and the crew at Bottle Breacher. Thank you to everyone who entered our pre-IMTS and IMTS drawings at the show. 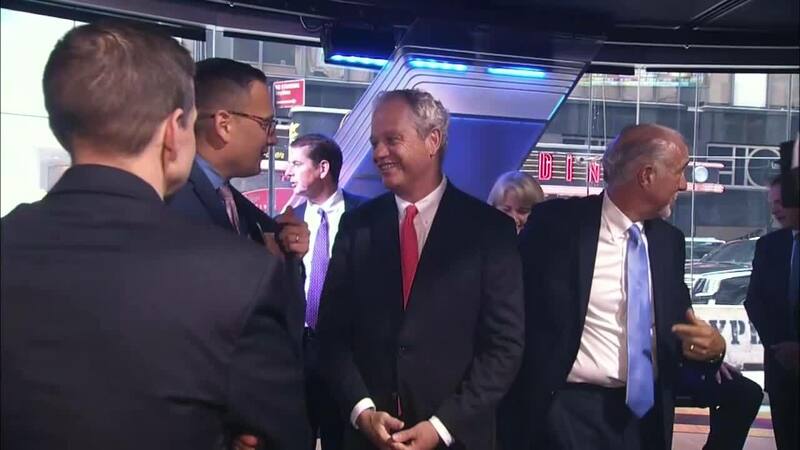 To commemorate our 50th Anniversary, we rang the Closing Bell at Nasdaq on June 13, 2018. 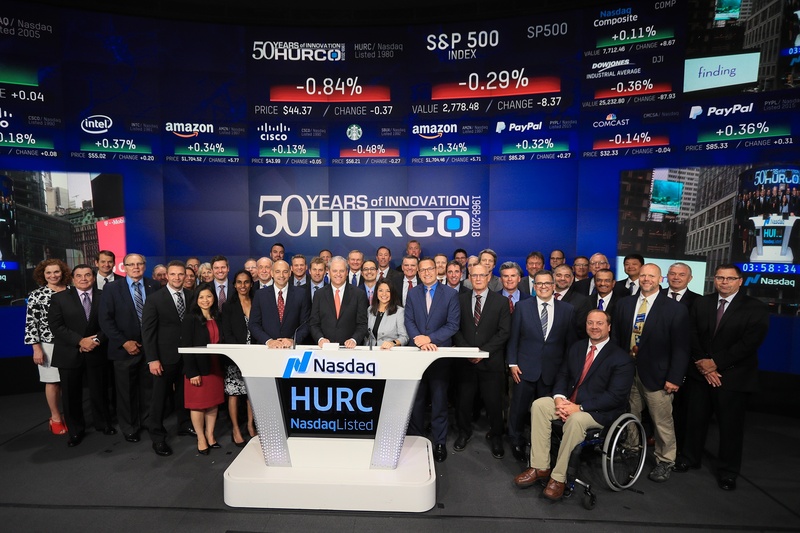 Hurco is traded on the Nasdaq (ticker symbol: HURC). 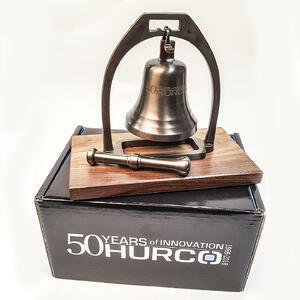 Hurco 50th Anniversary Music Video. 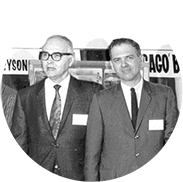 In 1968, Gerald Roch and Edward Humston formed a company they called Hurco ("Hu" for Humston, "R" for Roch, and "CO" for Company ). Roch was the idea guy and Humston was the business guy...actually, Mr. Humston was Mr. Roch's boss as the owner of E.L. Humston Company where Mr. Roch was a sales representative for eight years. Mr. Roch grew up around his grandfather's tool and die shop where he discovered his passion for building things. After he graduated from Purdue University with an industrial engineering degree, he returned to his grandfather's shop (which was now owned by Mr. Roch's father and two other partners). Mr. Roch's fascination with simplifying processes, combined with the emergence of computers, would lead Mr. Roch to start Hurco. To a younger generation, Mr. Roch's foresight to realize that computer technology could be used to make manufacturing more efficient might not seem particularly revolutionary. For historcial perspective, the computers of the 1960s were expensive; owned exclusively by institutions, such as government agencies, universities, and large corporations; and they were huge--one computer consumed an entire floor of a commercial building. Even though creating a computer to machine parts seemed far-fetched, Humston believed in Gerry Roch's vision and the two men set out to make computers work for the working man. People often talk about innovation, but rarely talk about the innovators. Mr. Roch is the epitome of a true innovator. He is curious. Asks questions and he never accepts the status quo. 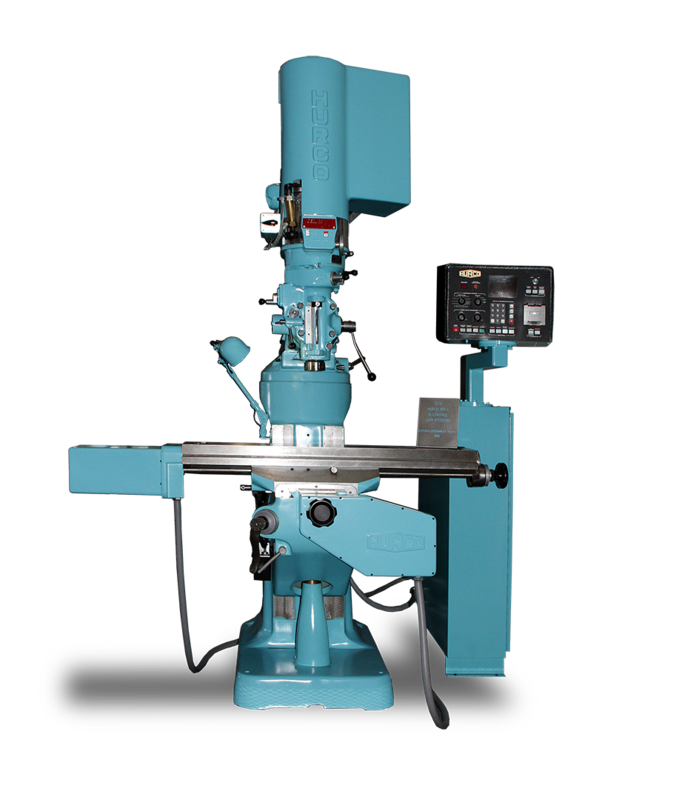 He has acquired more than 60 patents, due in large part to his fascination with efficiency combined with his background at the family tool and die shop, his collaborative personality, and his drive to solve problems. His patents for interactive control technology, which we refer to as conversational programming, are considered the most significant. 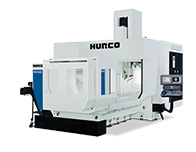 Machine tool builders throughout the world had to obtain a license from Hurco to implement this technology into their products because Mr. Roch, Hurco co-founder, invented it. Despite all of his inventions and success, Mr. Roch remains extremely humble, saying, "I've never really been an expert in any one area. I know relatively little about software and electronics, but I've been fortunate enough that I conceptually understand how things should work. Then, it's a matter of hiring capable engineers to make it happen." The connection between technology and people is the core of our culture at Hurco. 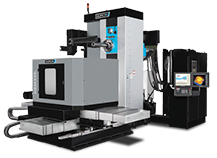 At the end of the day, machine tools aren't about iron, and technology isn't about software codes. They are about people...people like Gerald Roch and people like you, who work each day to identify ways to continually improve their processes, their business, and the parts they manufacture. True to our co-founder, Gerald Roch, we strive each day to develop technology and build machine tools that simplify work to make you and your business more successful. 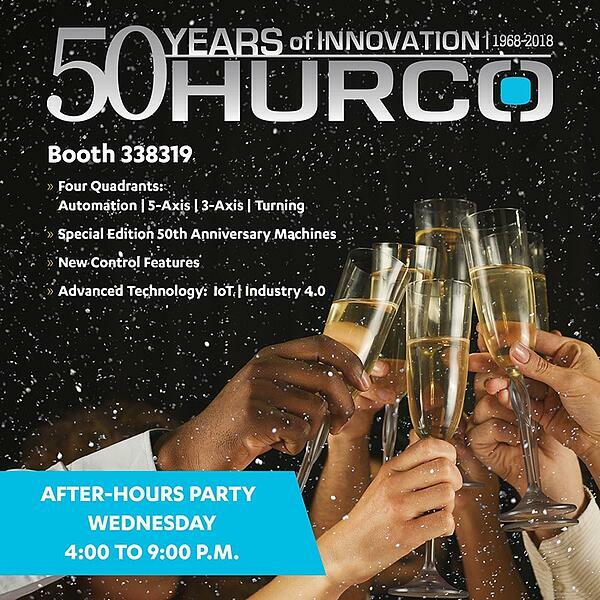 Hurco has been advancing the manufacturing industry for 50 years. and manufacturing companies more profitable. 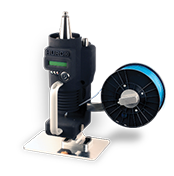 Hurco is an American company (Nasdaq: HURC) with global reach. 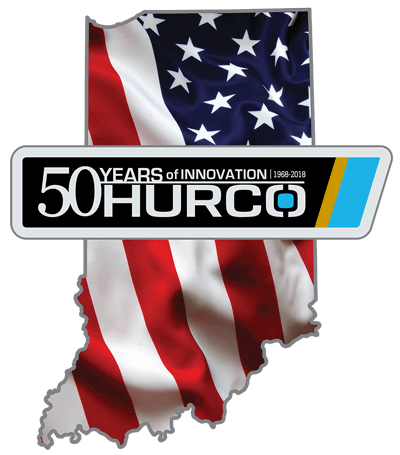 Based in Indianapolis, Hurco engineers have been inventing technology that makes machinists more productive and job shops more profitable since 1968. 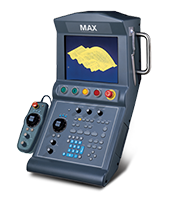 We build CNC machines that are equipped with the MAX control powered by WinMax® software. 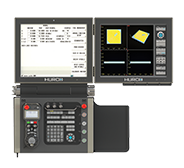 The Hurco control is the most flexible in the industry because it is equally powerful whether you use conversational or Industry Standard NC programming…or you can use the best of both with Hurco’s NC/Conversational Merge feature. Hurco was founded on innovation...the idea that innovation is a continual process to improve technology and find new ways to increase efficiency. 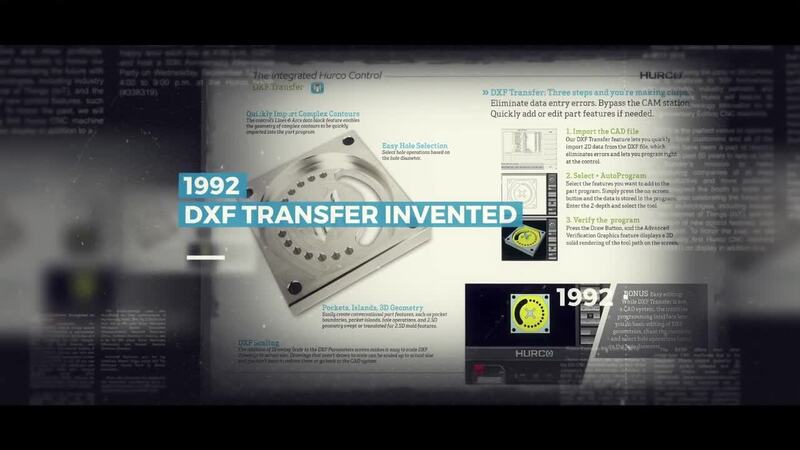 Hurco has more than 80 patents for machine tool control technology. Additionally, we invented conversational programming, which revolutionized the machine tool industry because it was an alternative to cumbersome G-codes and M-codes. The difference between conversational programming and NC programming has been compared to the difference between Windows and the old DOS interface of the first personal computers. © 2018 Hurco Companies, Inc. All Rights Reserved. Information may change without notice. Optimum machine performance is reliant upon installation conditions at the facility, such as power supply, air supply, and ambient air conditions. 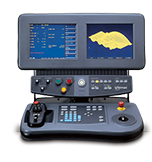 Some machines shown with options.